Are you getting ready to sign a lease on a property in the Bronx? The good news is that a lease is a temporary agreement. If you aren’t happy, the terms of the lease should terminate at some designated point and allow you to move on without much hassle. The bad news is that some leases can make your life a nightmare while they are still in effect. 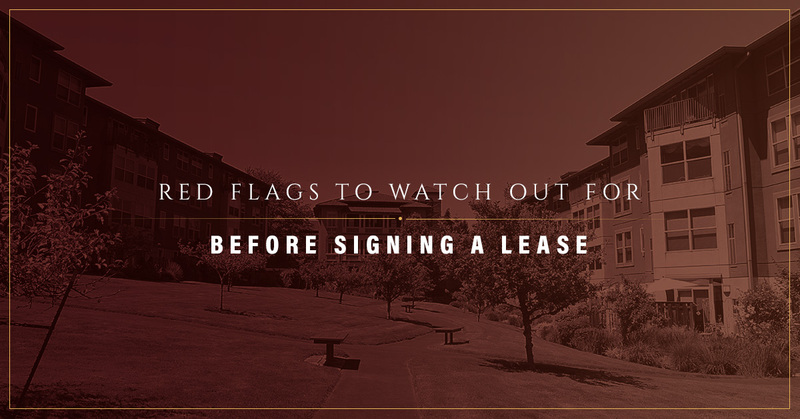 If you are getting ready to sign a lease on a property, there are a number of red flags you should watch for before you put your name on the dotted line. Our first and possibly most important piece of advice is this: read your lease. A lot of people assume that what they are signing is a basic lease agreement and don’t bother reading it through. This is a huge mistake. You might find that you have no legal legs to stand on later when a problem between you and your landlord comes up. Read the lease, and better yet, have it reviewed by an experienced Bronx real estate lawyer. The rental market in the Bronx is tough, competitive, and moves quickly…but it shouldn’t move so quickly that you end up getting yourself into trouble with a bad leasing agreement. The lease requires you to pay for repairs. Your landlord is responsible for ensuring the property is habitable. That means they are responsible for the bulk of repairs, including those to appliances that they provided in the house. If you put a hole in the wall, you will need to pay for the damage, but most of the household repairs that come from reasonable use are the landlord’s responsibility. Don’t sign a lease that requires you to pay for repairs. The landlord wants to be permitted to enter anytime. They might own the property, but you still have a reasonable expectation of privacy. That means your landlord shouldn’t be able to enter the property whenever they want for whatever reason they want. Some landlords may require annual or quarterly inspections to ensure you are taking care of the place. That’s entirely reasonable, especially with 24 hours notice. But barring an emergency, your landlord should never enter the property without your knowledge and without notice. If you see the term “as is” in a leasing agreement, that’s almost guaranteed to cause you issues in the future. That means you are agreeing to take the property in its current condition without requiring the landlord to address any issues there could be. That could include major mold issues, broken appliances, water damage, and a number of other issues. Saying you’ll take the place as-is leaves you little legal room to ask the landlord for repairs. The landlord wants to be able to change the rules mid-lease. If there is a provision in your lease that the landlord can change the terms of the lease before the end of your agreement, that’s a sign of trouble. A lease should be a set of rules that you both need to follow for the duration of the leasing agreement. Neither of you should be able to change those rules whenever you want. The lease requires you to give up any rights. If you see this, walk away. You should never be required to give up any of your renter’s rights when signing a leasing agreement on a property. An honest, trustworthy landlord isn’t going to want to take away your rights because they know those rights protect you from dishonest practices. If you are getting ready to sign a leasing agreement, we’d be happy to look it over for you and make sure there are no red flags or legal gray areas about which you should be concerned. You can make an appointment with our Bronx real estate lawyer by giving us a call or contacting us through our website. We’ll make sure you are signing a solid lease and get exactly what you expect without giving up your rights. Our rates are reasonable and the protection can be invaluable. Contact us for your appointment time today!